NBC News cut out huge parts of Russian President Vladimir Putin's interview Megyn Kelly and edited in BS propaganda. Russian YouTuber "Inessa S" made a video showing many of Putin's "hard truths" NBC neglected to air. 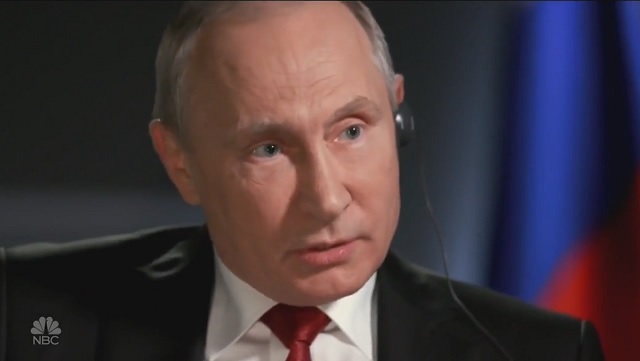 Well we didn't really expect NBC to include the full interview as part of their programming, however the organisation had edited out some key hard truths on behalf of President Putin. He points out the fact that it is the US that meddles in every countries' election processes and asks what moral reason does the US have to "teach Russia how to live?" Megyn Kelly herself comes to a certain realisation - having strolled St Petersburg over several days, she notes that Russians in general like and respect their President, which is a far cry from the way he is depicted in US mainstream media.